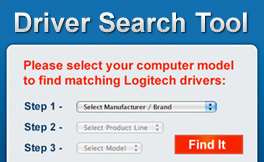 DriverDoc is a US-based software company with millions of customers in over 160 countries. We are a privately-held with zero debt and strong operating revenues. With software translated in 6 different languages including German, French, Spanish, Portuguese, Italian, and English, we are truly a global company. 1. Remove the time, frustration, and confusion from the driver update process. 2. Keep our customer's computers running at their optimum performance levels. We strive to accomplish our mission by ensuring that all device drivers are updated using the latest versions correct for our customer's specific system model (eg. Dell, HP, etc. ), while making this a user-friendly process. DriverDoc uses a System Intelligence™ engine that was originally developed over 15 years ago, and has been refined over many versions to its current form. We've designed our software so that it does the "heavy lifting" for the user, offering our customers a user-friendly approach to keeping their drivers up-to-date.